Christians, Moving as One, Reassembling a Shattered Nation by the Power of the Lord. This is "Organic." A movement. No Well known Christian Leader or Organization Starting an Additional Project. We are a HUB to UNITE Christians and ALL other CURRENT calls for prayer and fasting across America to one unified, nationwide cry out to the Lord in repentance. WE are "simply" Christians from ALL WALKS who believe and agree that God is the one true and only God;That Jesus is the Son of God and the Bible is His Inspired Word. 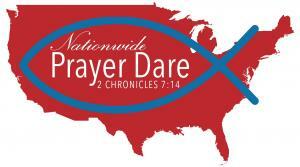 We are joining together in a NATIONWIDE, UNIFIED initiative of repentance and prayer. We INTEND to ENGAGE in SPIRITUAL WARFARE and are Praying that the Holy Spirit moves MIGHTILY across our Land as we Humbly Repent, Fast, Pray . . . Thank, Praise and Worship our LORD, in the with various other events as we gather Christians of the same mind for on ultimate period of time. In the meantime, we are standing in support of others who are calling the nation to prayer ... those who understand what it will take to move America to a place where God will once again turn His face toward us and prayerfully will ... heal our land. We can alter the course of HISTORY! SPREAD THE WORD! Please, like our page and SHARE individual POSTS to help spread the word!